It is often thought by divorcing couples that once they have obtained their Decree Absolute, and become divorced, that that is the end of the matter. They may think “we have sold the house, divided the proceeds and that is the end of it”. This is not the case. Divorce does not mean that any financial claims against one another are terminated. Even if you and your soon-to-be former spouse are able to reach an agreement regarding how to divide the joint assets of the marriage, it is advisable to record that agreement in a Consent Order which is approved by the Court. 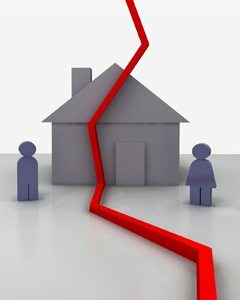 If there is no Final Court Order which reflects the financial agreement you have reached or an Order which the Court has imposed after a hearing, then any party to the marriage is vulnerable to their ex-spouse making a financial claim at any stage after the Decree Absolute has been granted. This can often take place years after the parties are divorced. This may happen, for example, where one party’s financial situation improves and the other party’s financial situation deteriorates after the Decree Absolute. Even without such changes, your former spouse could make an application to the Court. It is far better to have a clean end to the marriage with all issues regulated. This can be done relatively cheaply with a Consent Order. This document once signed by all parties is sent to the Court to be approved by the District Judge and then sealed. By recording the agreement in a Consent Order, you can go back to the Court in the event that your ex-spouse does not keep to any aspect of that agreement. When lodging a Consent Order it will be necessary to complete a “Statement of Information” for the Court. This statement provides the Court with details of the parties’ income, capital, where they intend to live, and whether they intend to re-marry or cohabit. This document will assist the Court in deciding whether the agreement reached is fair. There is no requirement for either party to attend the Court in person. If the Court is happy with the Order it will be approved and sealed and returned to the parties via their solicitors. If the Court is not happy about the agreement reached, then either further information will be requested, or the parties may be required to attend Court to explain the agreement reached. A Consent Order can and should deal with all the financial aspects that the Court has jurisdiction over. The Consent Order can therefore deal with the division of money, property (including the former matrimonial home), life insurances, pensions, savings, and the payment of maintenance for children and ex spouses where applicable. Even if your agreement has been reached amicably without the need for Solicitors or even with the assistance of a Solicitor, it is vital to record that agreement in a Consent Order. This ensures that all matters are dealt with at the time of the divorce, thereby avoiding disputes at a later date. Loose ends left unresolved upon divorce can become very complicated and expensive to sort out, particularly if one or both parties have remarried or one party’s financial situation has improved for the better.